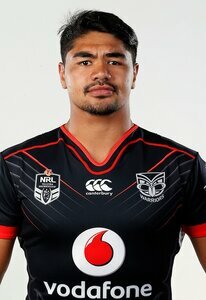 'Jimmy' has come through the Vodafone Warriors' system, making his mark with the Papakura Sea Eagles to earn the opportunity to play NYC football in 2014. He impressed throughout the season as a rugged back rower culminating in him playing in the club's grand final-winning side. No longer eligible for the grade in 2015, he immediately became an integral player for the Vodafone Warriors' Intrust Super Premiership that year and has been a regular ever since. Performing strongly throughout the 2016-2017 offseason, he was selected in the club's 2017 NRL Auckland Nines squad and also played in each of the NRL trials against Melbourne and Gold Coast.